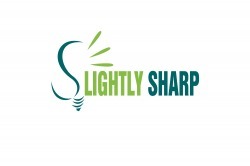 Slightly Sharp Enterprises provides highly innovative products and services aimed at improving the quality of life for all. Our Energy solutions provide Producers, Distributors, and Consumers with a novel Business Ecosystem Infrastructure that enables the more efficient development of new technologies and products to be delivered to the market with reduced cost and risk. All of our business lines focus on providing our customers with the highest utility form factor and function possible.